Since my Kleenex box is my new best friend, my shadow, my confidant (I don't think that's anything to be ashamed of, but hey, I'm medicated! ), I really should blog it today. 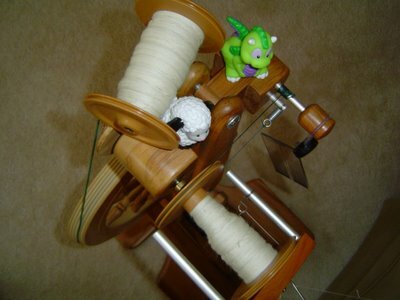 Instead, in the spirit of this blog being mostly about spinning, knitting and other adventures of the fibery kind, I will show you some spinning. This is the Merino/Kid Mohair that I'm going to make a cabled yarn out of. I have 8 ounces of top. 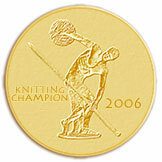 As you can see, I have 2 ounces of singles completed on one bobbin, and I'm working on the second bobbin of singles. I'm going to make myself get all of the singles spun before I ply and reply because I think the plying part, while twice as long as regular plying, will be pretty fast. I try to spin on this at least a little bit during the day, but some days I get more done than others. The Kleenex box and I did get a tiny bit started on writing the Mystery Stole pattern yesterday, but as you can see, we still can't spell the name without looking it up. The Kleenex box was supposed to look it up, write it down on a sticky note, and stick it to itself where I could easily see it, but its slacking off. It seems to think that being there for me when I sneeze is enough. Honestly, I'm high maintenance, and I need a Kleenex box that will be there for me. I may have to replace it with the lotiony kind of Kleenex. Wow! You guys really came out of the woodwork to comment on the tape measures! Almost as many comments as Ramius and Finn get. I will definitely have to look for the chicken with the egg - that one sounds hysterical. 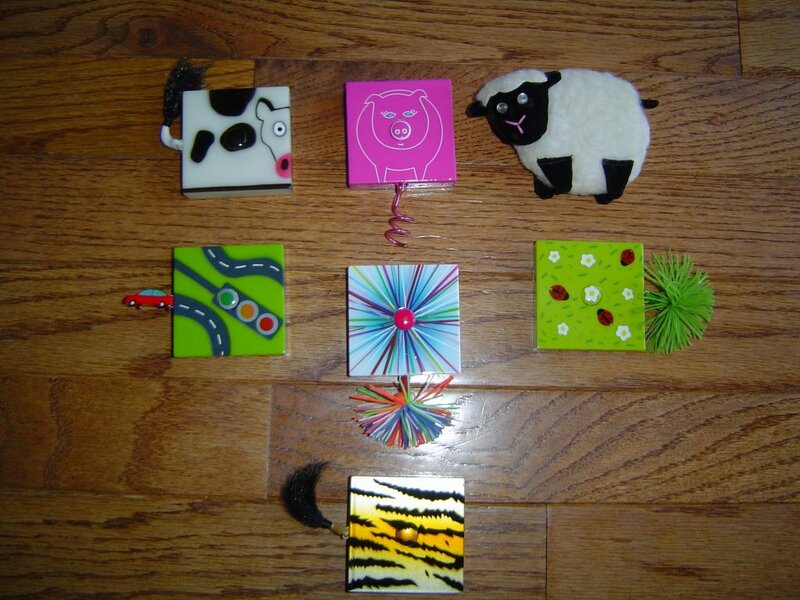 So, by now you're probably wondering where the picture is for today's blog entry. Well, there isn't one. At the end of last week, I came down with a cold and suffered through it all weekend. It was one of those, "Oh, just kill me now!" kinds of colds. I'm doing better, but I still have almost no energy, so I haven't been getting much done except what has to be done around here. Monday I used all my extra energy getting groceries, Tuesday I had to run errands and get a TB test (can't volunteer at Caleb's school until you have a TB test, which I appreciate, but its irritating since I know I don't have it), but today all I have to do is get Caleb to school and pick him up when its over. I'm hoping to knit a tiny bit or something. Maybe I'll work on the Mystery Stole pattern. Maybe I'll just learn how to spell the real name of the Mystery Stole, so I can quit calling it Mystery Stole. (Scheherazade is pretty hard to spell - I had to look it up for that one.) Maybe I'll just write it on a post it note so I won't have to think too much. I wonder what Blogger's pathetic excuse for a spell checker* will want to change Scheherazade to (totally just copied and pasted that one). I hope you all have a great day, my Kleenex box and I are off to get some laundry going. OK, I just ran the spell check and guess what, it knows Scheherazade! It wants to change Blogger to blocker, but it knows Scheherazade? How is this possible? *It doesn't even recognize "blog" as a word, and its on the Blogger site - think about that one for a bit. On a completely unrelated note, why does Blogger's spell check always want to substitute "janitor's" for "knitters?" Do they have any idea what that would do to my blog? One of these days, I'll have to do two blog entries, mine and Blogger's after the spell check - its really pretty funny what they try to change. I finally finished my Mystery Stole! Woo Hoo! Its blocking right now. Why isn't there a picture of the blocking stole, you ask? Because its covered in towels right now, spread out on the only floor space in my stash room, which desparately needs cleaning out. Ramius has a thing for pins, so I have to cover lace after I get it pinned out and sprayed with water, so he doesn't unblock the thing before it has a chance to dry. 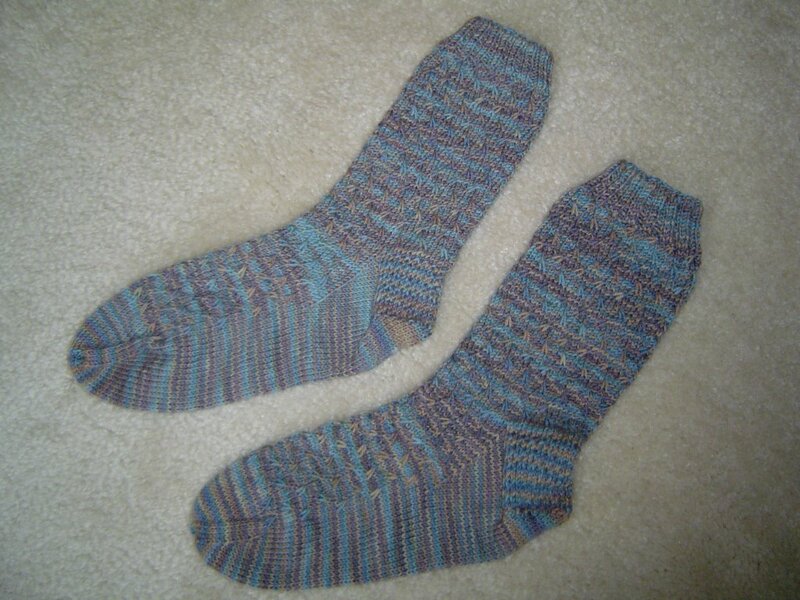 And I've got a finished pair of socks! These are my Finn Following Socks. The pattern is from The Sock Calendar. 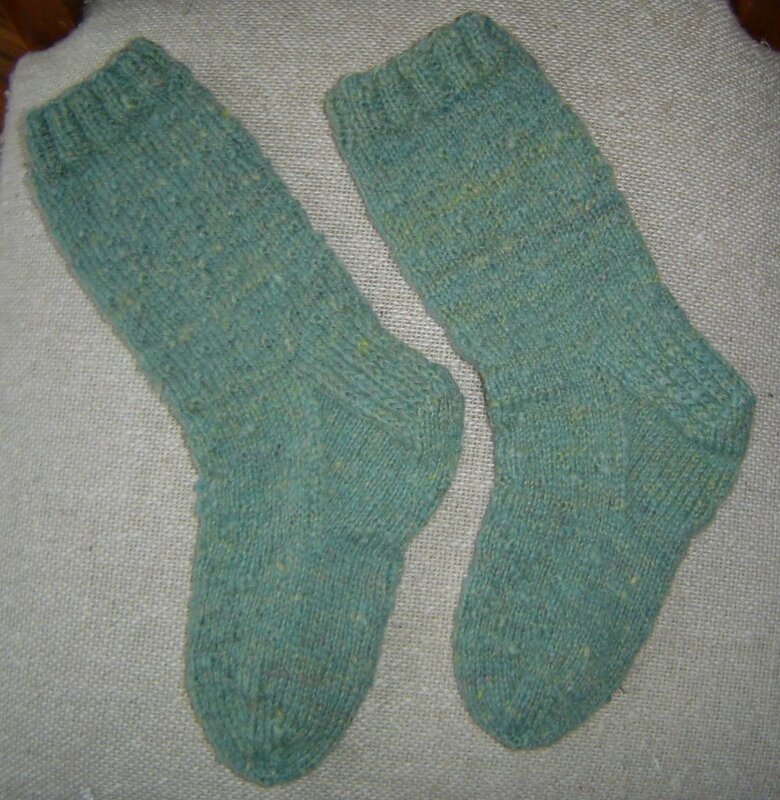 They are April's Rainy Day socks, knit in Sandridge from Lorna's Laces on US size 1's. 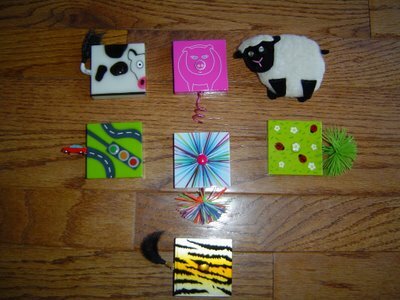 I finished them up over the weekend, but not having a camera, decided to wait to blog them. Well, the bad news is that the digital camera is on a business trip. 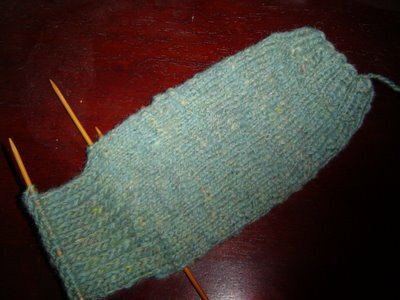 So, instead of blogging in excruciatingly, wordy detail what I'm knitting, I'm going to take a bit of a blogging break. The camera will be back (hopefully with Mickael) on Wednesday, but since Thursday looks a bit crazy around here, I probably won't blog until Friday. The Good News? Since I won't need various bits of blog fodder this week, I'm going to devote all my knitting time to the Mystery Stole 2 and see how far I can get on it! 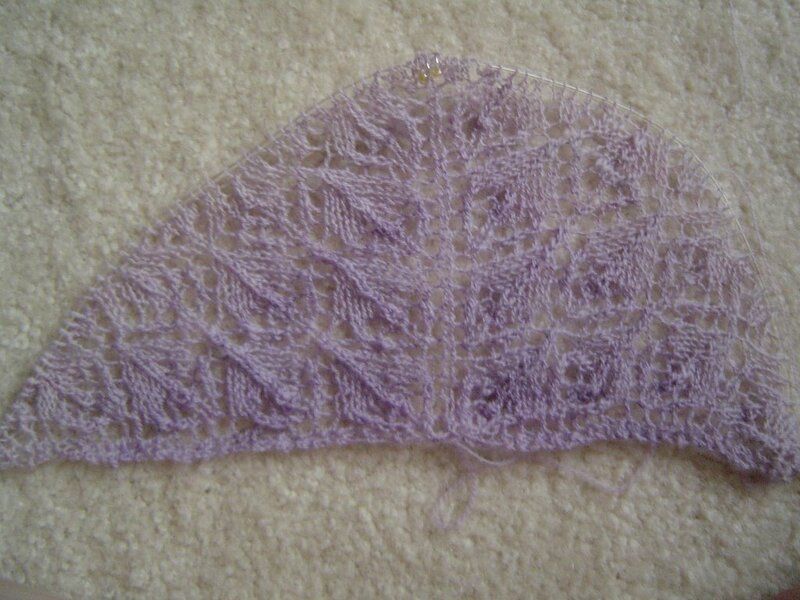 I finished up my Finn Following Socks and I'm going to hide my Flower Basket Shawl and only work on MS2. Wish me luck! Recent events here at my house, combined with a definite lack of sunshine for napping, have prompted me to take matters into my own paws and offer you, my feline brothers and sisters, my assistance before your home too, is invaded. What is this threat of which I speak? His name is Finn. Now normally a Finn would be a good thing. There are quite a few tasty things out there with fins. This, my friends is not tasty. This is not even edible. A dog, you ask? No, dogs have their place in the world. I have had a dog before. Most dogs of 60 pounds or more are quite delightful to be around (never much cared for the smaller ones, although some of you might enjoy one at your own home). What I'm dealing with here and what I have stayed awake to warn you about is something so messy, so wiggly, so noisy and so rude that it makes me want to bathe every time I think about it. 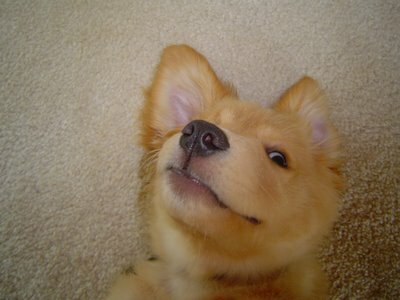 Its a...PUPPY! Now the Mommy person claims that he will get better, he will learn his manners, he will someday grow into a big dog, but this is the same person who said going on a diet wouldn't be too bad. She lies, people! He tries to get way too close to me, sometimes he even tries to touch me! 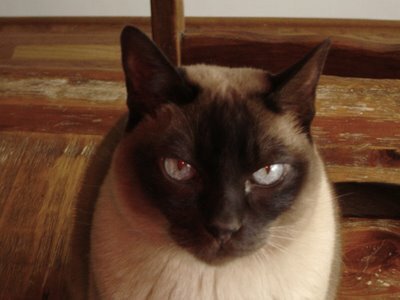 Doesn't he realize that I am The Cat? I am to be worshipped, preferably from afar by those who can't even keep their ears right side out. He licks me, as if I were a piece of food. You have no idea how long it took me to get clean after that one - I kept bathing, but I still felt dirty. Now, dear kitty readers, this is the part you want to pay attention to - there are more of these out there! If its already too late for you, and you have one of these too, I have compiled a few ways to deal with having one of these things around. First of all, they seem to come with a "crate" which is a large box like thing. (Note to crate designers: Airholes aren't really necessary, are they?) While they are in the crate you can have a lot of fun. Sit down in front of the crate with your back to it and take a bath. Stick one leg up in the air and really get clean. Ignore the whimpering, whooping and hollering that will be coming from the creature. As long as your humans close the door properly, you're in good shape. If the Puppy is asleep, try circling the crate and meowing at the top of your lungs. This might work better for those of us who have a good, strong "meow" rather than a delicate "mew," but keep at it. 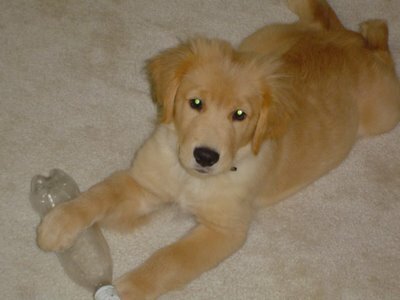 Now sometimes, in their ignorance, the humans (AKA Those That Work The Can Opener) will let the Puppy out of the crate. This is where your jumping ability can come in handy. It also helps to have a good idea of how far your particular Canine Nemesis can stretch (remember - they grow). Jump just barely out of reach and then carefully taunt it with your tail. Last night I had the most delightful time smacking the Finn thing on the nose with my tail while I sat on the bed and ignored him. He was making all kinds of barks and yips trying to get to me, but his inferior jumping skills just weren't up to it. Make sure you keep your tail moving and be careful - I don't want to hear about cats who go missing the ends of their tails because they got over confident. Good luck to all of you cats out there. I know what these monsters can do to a peaceful household, but with a little effort on your part, you can make it as miserable as it has made you. And if all else fails, remember, when it rains, they have to go outside - you have a nice, dry litter box. Winter is coming - BWAH HA HA! Here's your shot of Canine Eye Candy! Finn is now around 25 pounds and is starting to look a bit more dog like (rather than puppy like). His legs are definitely longer - when we got him he looked like a fat, yellow sausage with legs, and he's much faster. Obviously, we still have some growing to do to catch up to the size of our feet, but I'm pretty sure he'll get there. Mickael gave him an empty Coke bottle the other day and he just loves it! (Disclaimer: We check it several times a day to make sure it isn't getting chewed into bits and he only plays with it while we're watching.) If he puts it on the hardwood floor in the kitchen, he ends up sliding all over the place trying to catch it. His other new favorite thing is an ice cube. He needs another 6 inches in length and he'll be able to use the ice dispenser on the refridgerator and get his own ice out. (We'll probably have to lock it then or we'll have ice all over the place.) We've discovered if we give him an ice cube, we get 7-10 minutes while his undivided attention is on the wonders of ice. 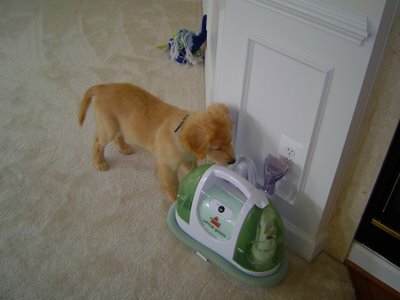 Here's a picture of Finn checking out the carpet cleaner AKA Mom's Best Friend. He's still doing really well with the housebreaking and I'm using it less and less, but I'm not ready to put it away yet. The other night Mickael set an unopened can of Root Beer on the carpet and Finn started playing with it. We didn't worry since he was mostly licking the condensation off of it and since it was unopened, its pressurized, right? Well then we heard a hissing sound. The look on Finn's face was priceless - he had no idea that wonderful cold can thing had stuff in it! Out came the carpet cleaner, thankfully it was Diet Root Beer and cleaned up quickly. Sharp little puppy teeth will get you every time! By the way, the thing behind him is his Shark toy that he's been photographed with before. He untied the knot on one side of the rope and has a stringy mess that he just adores. One last shot of Finn, making crazy look good. As you can see, there is still Finn following going on here. I finished the first sock and have started the second. I'm going to be looking for a bell like everyone suggested. As smart as he is it shouldn't take him long to figure that part out. I did get a better picture of the stitch pattern this morning than I did yesterday. You can also see that I used the Eye of Partridge heel instead of just Heel Stitch (Eye of Partridge is Heel Stitch, offset every two rows and it makes a checkerboard pattern instead of just ribs). I love the colors in this yarn and honestly I'm not sure why. I usually like brighter, more distinct colors and I don't like tan, but this tan is more of a taupe and something about the blues and dusty purples reminds me of evening, when the light is fading but its not quite dusk yet. Its probably all in my head, but I'm thinking this will look great with jeans and since I practically live in jeans, they should get a lot of wear. 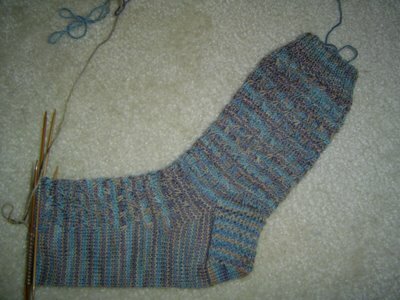 This weekend I got almost an entire sock knitted! I'm calling these my Finn Following Socks, because that's when I knit them - following him around. First the sock details, then the puppy details. The sock pattern is from The Sock Calendar, its the April sock, called Rainy Day. 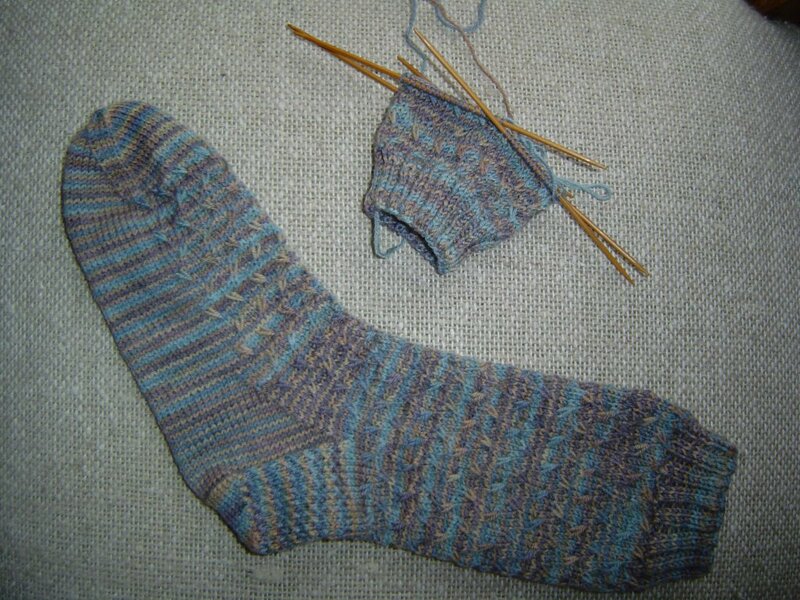 I'm using the Sandridge* colorway of Lorna's Laces Shepard Sock and knitting on size US 1's. Its actually raining here, which is why the picture isn't that great - hopefully I'll get a better one. As for a Finn update (no pictures today, I'll give you some doggy eye candy later this week), we had a major breakthrough last week. Finn started going downstairs and sitting by the back door when he needs to go outside! I'm so glad he figured out a way to tell us when he needs to go. He's not getting there 100% of the time yet (when you're playing with your toys and having a blast you don't always pay attention to what your body is telling you), but he's probably doing it around 90% of the time which I think is huge. We're very proud of him for getting the hang of the potty training and I figure that now that we have this part figured out, repetition should get us the rest of the way. He's 13 weeks old today and according to the vet at around 12 weeks, puppies have the muscle control both to hold it and to fully eliminate when they do go. The only downside to this is that Finn can be very quiet and a bit sneaky, so we have to follow him around constantly when he's playing because he can scoot downstairs and we won't even realize it. 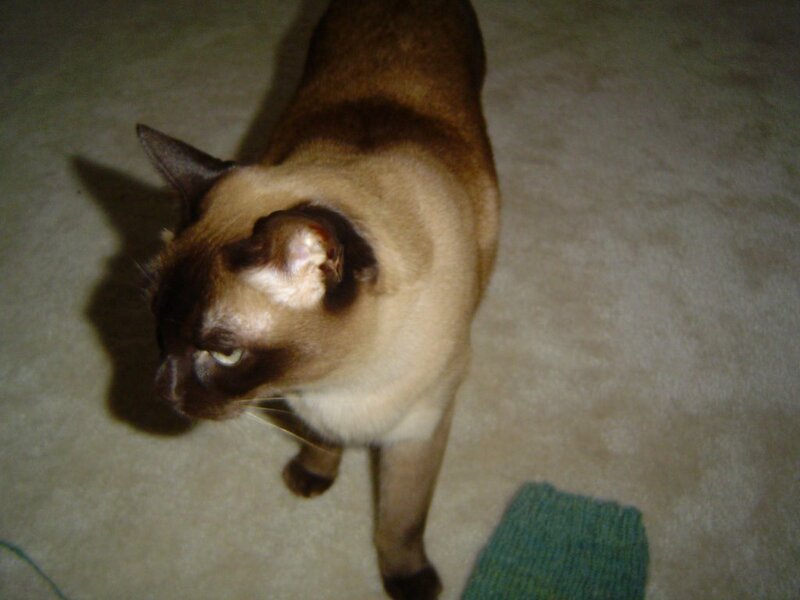 So, I tucked the ball of yarn under my arm and followed him around the house all weekend, knitting a sock. Go Finn! I couldn't wait until I finished everything else I'm supposed to be working on! 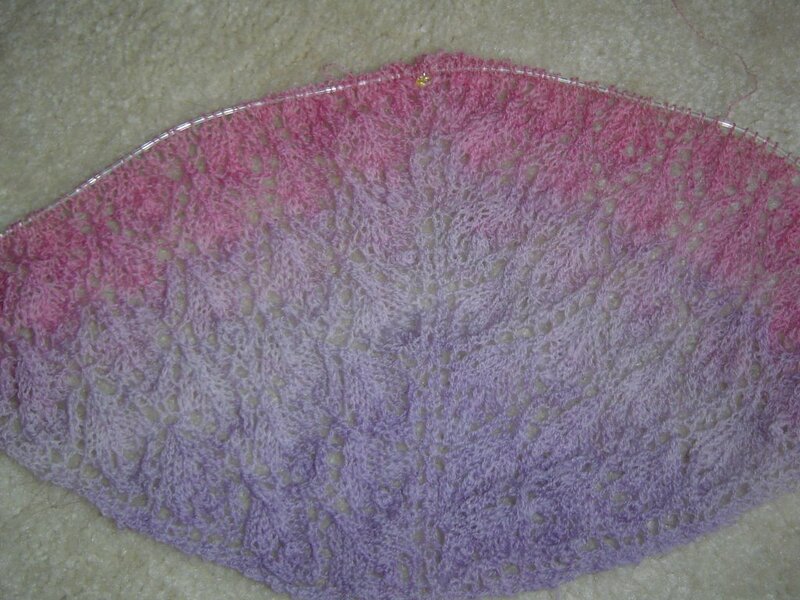 I started my Flower Basket Shawl with the hand spun merino and silk. Its hard to see here, but the color is starting to change from a clear pale purple to a dusty, silvery purple color. I've got to find something darker to photograph this on that is less slippery than the hardwood floor would be. Otherwise, I can't spread it out! Its an easy knit and not too chart dependent, but I promise I'll get back on my Mystery Stole this weekend. I've got to get it finished so I can get the pattern written up. I also have my Soleil tank that still isn't finished - I'm past the point where it divides into a front and back, but I've seriously lost interest in it since its after Labor Day and I probably won't wear it until next Spring. I might just let it marinate in stash for a while because there are several sweaters I want to get done for Fall and Winter. Must. Get. Finn. Trained! 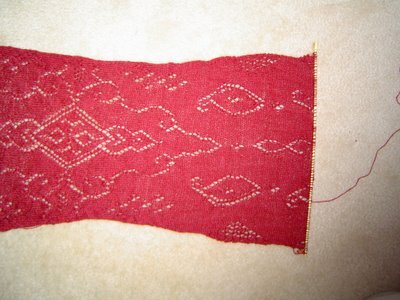 The plain squares are knit stitches and the dots are purl stitches. 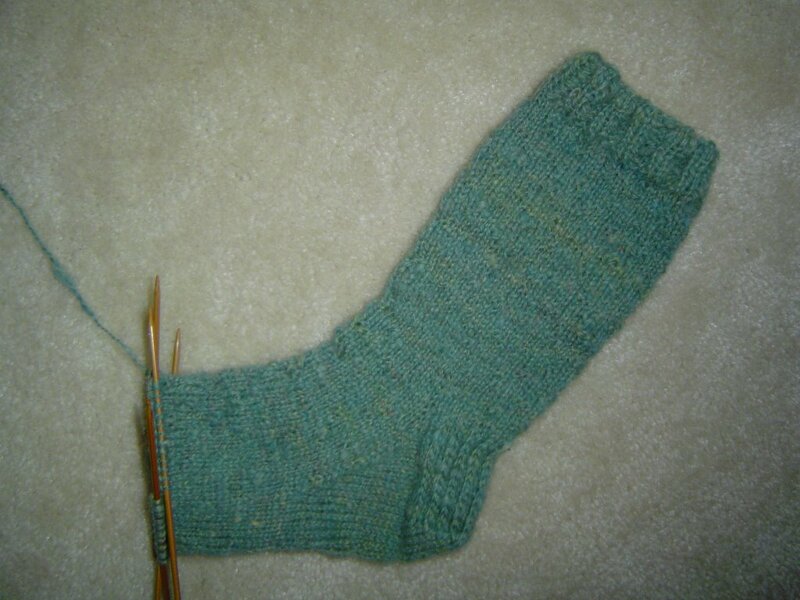 Feel free to plug it into any sock pattern with a stitch count divisible by 4. 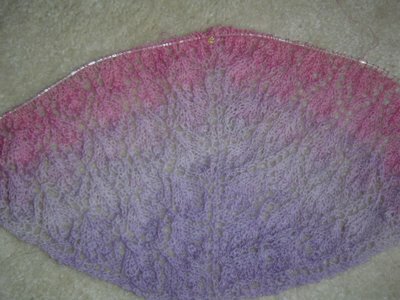 It will show up best on solid or mostly solid yarns, but it could be interesting in a blended stripe kind of yarn pattern too. Enjoy! Ramius isn't very impressed by the sock, but he's more concerned with Finn right now. He's relaxing a little more, but I caught him online last night, registering at stealmydog.com. This can't be good.